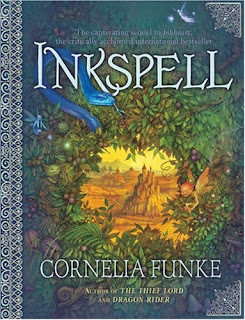 Cornelia was so smart in making a story within a story. How creative?! Especially since they actually enter the story rather than simply tell it. Cool, right? I wish I could enter a story and see it through my own eyes, not just slipping into the character's skin. Maggie has such a kind heart that she couldn't dare hurt Farid or Fenoglio and I feel like they use that against her. But then again it is also her arrogance that caused her to enter the story in the first place. But still, Fenoglio and Farid shouldn't ask her to do those things. They knew for sure that she would say yes, becuase of how kind she is. I feel bad that she has to go through all that pain. It isn't just homesickness. It is also the terror and injuries that are happening to her and her love ones. Mortimer (Mo) is so brave. The way he battles. It seems like it could be his passion though we all know it isn't. His passion is bookbinding. After all he is the "book doctor". No one has ever seen him like he is there. The previous book in the series was made a movie and so I wonder, why isn't this one? It should be! It would be wonderful to watch this. Though nothing is as good as one's imagination. Even with that said, it would still be cool to watch this as a movie. What went wrong? 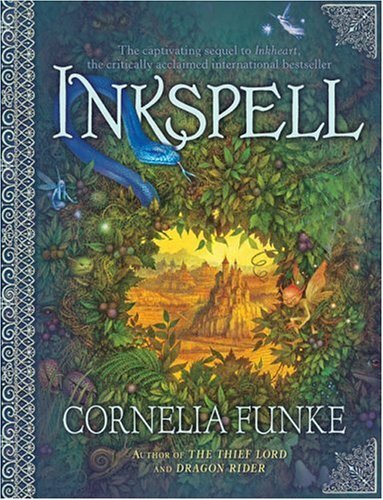 Did something bad happen to Inkheart the movie? Were there just too many bad remarks that made them not want to make the sequel? It's a shame that the other one hasn't been made. I hope it does sometime in the near future. Did this book meet my high expectations? Yes it did. Of course like everything, it could use some tweeking. Would you recommend this book and to who? Yeah. This would be good to anyone who likes to read YA books or would like anything different.